"Once upon a time, there was a talented graphic designer who created a very unique film location map for his wife. This map was so special that soon the rest of the world heard about it and couldn't wait to see it in person." That could be an opening line for the story we're about to share with you. The graphic designer is Tim Ritz. One day, as he was watching the 1940s British television show Foyle's War with his wife Kolleen, she asked him where the series was set. Tim pulled out his post-it note and drew a map to show her where Hastings was. 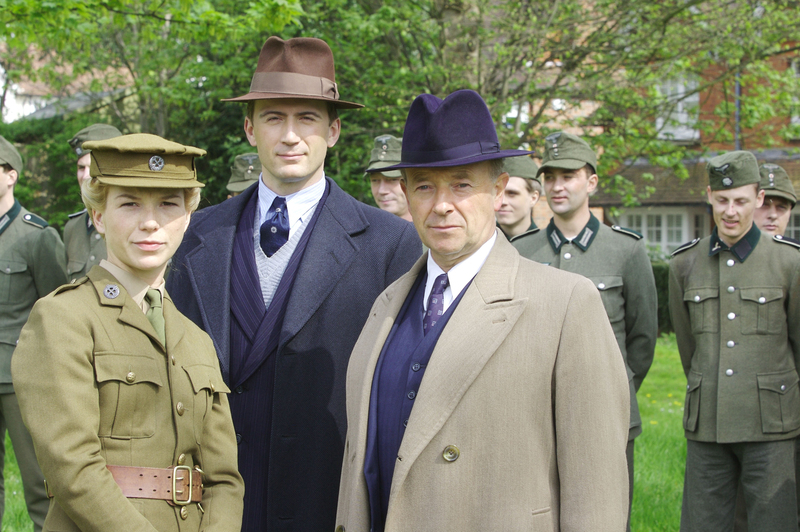 A production still of Foyle's War set and filmed in Hastings, East Sussex - image via Google. Tim's post-it note drawing impressed his wife so much she continued inquiring about the filming and setting locations of her other favorite British shows, such as Downton Abbey and Pride & Prejudice. 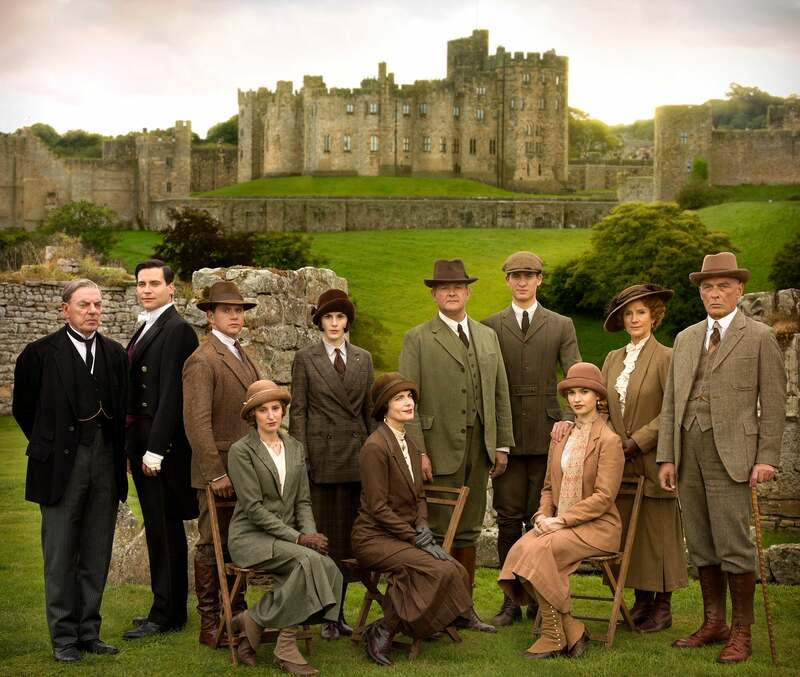 The cast of Downton Abbey on location at Highclere Castle - image via Google. Being the map lover that he is, Tim decided to create the ultimate U.K. film location map for Kolleen. A decision that we all now get to benefit from. The graphic designer used various online resources such as IMDb, Google Maps, and Wikipedia to help him create this map. After some extensive research, Tim presented his wife a gorgeous and incredibly-detailed map of where popular British television shows were set and filmed in the United Kingdom. The map includes some of my (and my sisters') favorite shows such as Call The Midwife, Downton Abbey, Sherlock, and Outlander. Here is Tim's famous and "impeccably accurate" U.K. film location map. For more information on the map, visit Tim's website. And for the die-hard film buffs, you can also order a print for your wall. Production still from Call The Midwife, filmed in Surrey and Kent - image via Google. Tim sums up the reasoning behind the existence of this beautiful map in one simple sentence: "A growing number of Americans have fallen in love with British TV. My wife and I are some of them." The artist also drew a separate map insert for the London film locations where the number of productions set and filmed there were too numerous to fit in the original U.K. map. — Tim Ritz, Graphic Designer & Creator of the Ultimate U.K. Film Location Map. Perhaps one day when his wife asks him where her favorite American TV series and movies were filmed and set in the United States, Tim will decide to draw us his U.S. film location map. I'm already planning where to hang that one in the house.